Torn earlobes are common, and easily fixable requiring no down time – you can immediately return to work and your daily activities. The procedure to fix torn earlobes usually takes less than an hour, making this a perfect lunch hour procedure! Earlobes usually tear in one of two ways. The first is by simply wearing earrings that are too heavy. This type of tear happens very slowly, usually over several years. The second type is when an earring gets pulled, causing the earring post or wire to rip through the bottom of the lobe. This type can often be caused by baby hands grabbing at their mother’s jewelry, or by an earring getting caught in something such as clothing. How is a torn earlobe repaired? There are several ways to repair a torn earlobe. The procedure will depend on the type of tear you have as well as if you would like your piercing repaired or re-pierced. 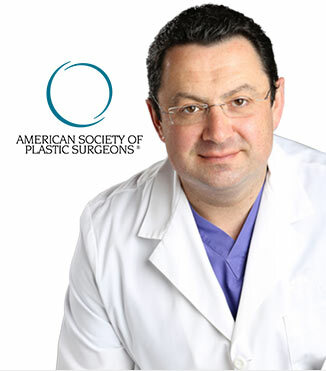 The most common procedure uses what is known as a z-plasty repair. Z-plasty allows the scar to heal more easily and to be less noticeable however, you will need to wait six to twelve weeks before you can re-pierce your ears. Surgeons use this common technique with various incisions to minimize scarring. What can I expect after I have had a torn earlobe repaired? Recovery from a torn earlobe repair is quite easy. You will be able to return to all of your normal activities immediately. It is important to keep your earlobes very clean. You may be given antibiotics to reduce chances of possible infection. Depending on the type of repair performed you may be asked to refrain from wearing earrings or re-pierce your ears for a couple of months. All surgeries come with some level of risk, such as infection or hematoma (bleeding under the skin), however these complications are rare. If you suffer from torn earlobes, miss wearing your favorite earrings or feel self-conscious, we encourage you to learn more about earlobe repair procedures and to call our office at 732-641-3350 and we are happy to provide any additional information or schedule your appointment with Dr.Boris Volshteyn, our board certified plastic surgeon.